Delectable Italian type pods yield in bushels. 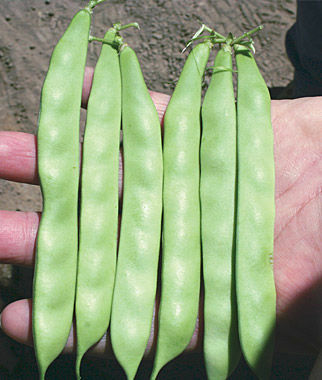 Best when 5-6" long the flat pods load up onto squat 16" tall plants in just 55 days! They are resistant to the Bean Common Mosaic Virus.